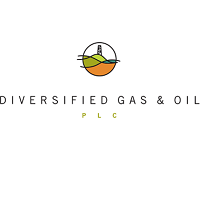 Diversified Gas & Oil PLC (LON:DGOC), the US based gas and oil producer, today announced the acquisition of Core Appalachia Holding Co LLC from TCFII Core LLC for total consideration of approximately $183 million comprised of a $130 million cash payment and the issuance of 35,000,000 new ordinary shares of 1 pence at an effective issue price of £1.15 ($1.51) per share. Core’s assets consist of approximately 100 mmboe of proved developed producing reserves and ~4,100 miles of gathering infrastructure with a pre-tax PV10 of $255 million, based on management’s internal estimates rolling forward the most recently available data from Core’s independent reserve engineer. Consistent with DGO’s significant base of PDP reserves in the Appalachian Basin, these reserves have long lives and demonstrated low annual declines approximating 4%. per annum since 2011. Core’s produced gas has a high BTU content of approximately 1,230 BTU and is largely unprocessed at present. This dynamic creates the potential for significant natural gas liquids-driven margin improvement by redirecting rich gas to processing capacity that was historically inaccessible without combining the two midstream systems. · Consolidating insurance plans, software suites, technology infrastructure, etc. These savings will be in addition to the savings DGO has already achieved through each of its previous acquisitions. During the six months ended 30 June 2018, Core reported total upstream revenues of $38.4 million (excluding reservation charges on contracted firm transportation capacity), third party midstream revenues of $7.0 million, and field level cash flow or net cash operating profit of $22.1 million. In the 12 months to 31 December 2017, Core reported total revenues of $127.8 million and EBITDA of $28.7 million. The cash consideration of $130 million has been funded through the assumption of the $93 million balance on Core’s revolving credit facility led by KeyBank and an incremental draw of $40 million under the Company’s existing KeyBank debt facility. Collectively, these components comprise approximately 70% of the purchase price. For the remaining 30% of the purchase price, the Company has applied for admission of the Consideration Shares to trading on AIM, and expects that admission will occur on 12 October 2018 (“Admission”). Following Admission, the Consideration Shares issued and allotted to the seller are subject to a lock-in period of eight months and an orderly-market agreement for a further six months thereafter, which collectively serve to align the seller’s interests with that of the Company’s existing shareholders and on the creation of long-term value through the realization of various administrative and operational synergies. The Consideration Shares will rank pari passu with the Company’s existing ordinary shares. Following Admission the Company will have 541,806,087 ordinary shares of 1 pence each in issue. No ordinary shares are held in treasury. The figure of 541,806,087 may be used by the Company’s shareholders as the denominator in the calculations by which they will determine if they are required to notify their interest in, or a change to their interest in, the Company under the Financial Conduct Authority’s Disclosure Guidance and Transparency Rules. The Company estimates that the PV10 value of its assumed decommissioning liabilities on Core’s wells, nearly all of which are in West Virginia and Kentucky, totals approximately $7 million based on a weighted average per well abandonment cost of approximately $25,000 and timing assumptions consistent with its existing portfolio. Core has an existing agreement in place with the State of West Virginia that extends through 2025, which requires that Core plug or produce 24 wells per year. Since the inception of this agreement in 2017, Core has been able to satisfy the agreements by placing the required specified wells back onto production. This is consistent with DGO’s own efforts to place nonproducing wells back into service, which not only defers the cost to decommission the well, but increases revenues from the well, often for many years to come. Core has no wells located in Pennsylvania where DGO remains engaged in ongoing discussions with the state’s Department of Environmental Protection to complete a long-term decommissioning agreement. DGO is committed to negotiating a long-term agreement with the Commonwealth of Pennsylvania that satisfies the needs of its citizens and those of DGO’s shareholders. A presentation providing more detail on the Acquisition and the assets can be found on the Company’s website within the Investor Relations section on the Document Downloads page.